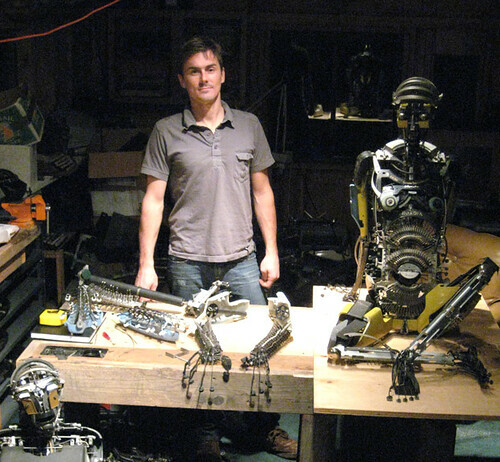 EPIC FU blog - robots from typewriter parts? of course! robots from typewriter parts? of course! 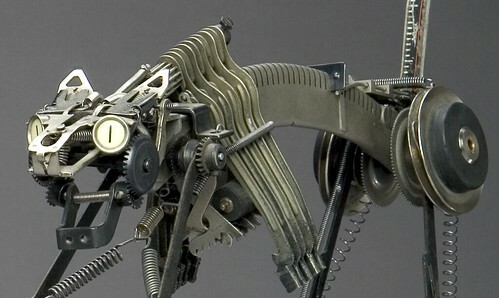 The amazing sculptures of Jeremy Mayer are all made from old typewriter parts. Talk about an endless supply of material! In our new media world, this is a beautiful way to re-use material and create fascinating art. 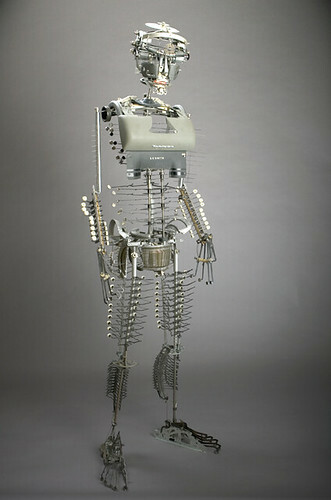 I disassemble typewriters and then reassemble them into full-scale, anatomically correct human figures. I do not solder, weld, or glue these assemblages together- the process is entirely cold assembly. I'm very interested in assembly, particularly in nature. I pay very close attention to the strong current in science and technology flowing inexorably toward an emulation of natural systems. Over the years I've been watching the advances in molecular engineering and biotechnology with giddy anticipation and also with a faint ping of trepidation. 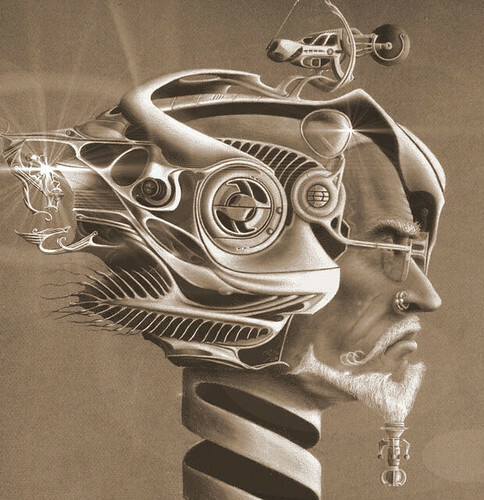 I love the sciences and science fiction, and both disciplines often stress the importance of considering the ramifications of implementing new technologies. These interests figure greatly into my sculpture and drawings. The meticulous nature of this work is impressive. Jeremy not only creates humanoid sculptures, but also animals, such as cats. He also has a portfolio of illustrations. He's been exhibiting his work across the country since 1997 and his next exhibition will be in La Jolla, CA in 2009. Check out his site for more deets.